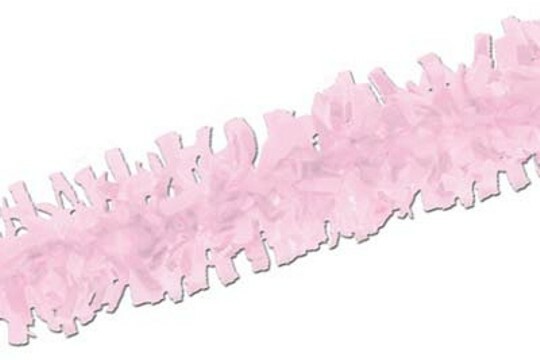 You'll think of oh, so many things to do with this sweet fringed tissue trim with touches of acetate to add some flair. You'll get 25 feet of crepe tissue fringe is just waiting for your imagination to make its possibilities into a fun reality! Use it in lieu of, or in addition to ribbon on gifts and the receiver will be absolutely delighted. Or, hang it up as you would any streamer or crepe paper for festive décor! Wrap it around a paper nut cup or party hat and you'll have a lovely party favor. Any of the colors is wonderful on its own - but when you combine them, a spontaneous party should appear!